Kawamura Ryuichi makes his mark in the Guinness World Records! 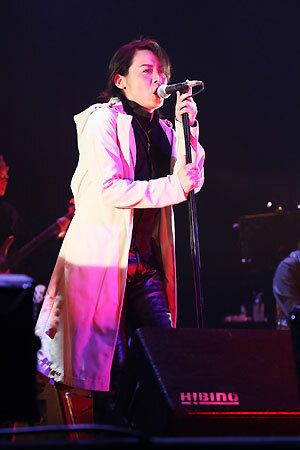 On May 3rd, singer�Kawamura Ryuichi held a solo live, called "'Genkai no Sono Saki e' 100 no Monogatari~Epilogue~", at Nippon Budokan. �He performed a total of 104 songs in 6.5 hours, and accomplished the�Guinness�World Record for the "Solo Artist Who Sings 100 Songs In 8 Hours" category. 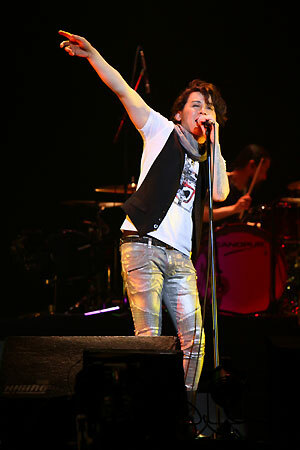 This live was a part of the release celebration for his solo cover album, "THE VOICE" (was released on March 9th). 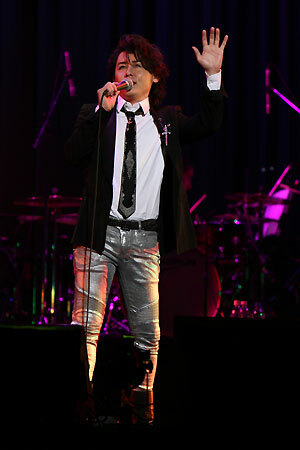 �Kawamura also held a live at Nippon Budokan in February 2008 and performed 71 songs in 4 hours, however, he wanted to challenge the new record on his turning point year of 40 years old. This was the longest live concert ever held at Nippon Budokan to date. At first, this live was planned to be held on March 13th, however, it was postponed due to earthquake, and in consideration of that, the live used 30% less�electricity�than normal. This 3-part live concert started at 2:00 PM, and he accomplished the feat while chilling his whole body and guarding his throat with a steamer during the intermission. �Kawamura commented, "Thank you very much! To be honest, 100 songs weren't easy, but I had such a wonderful experience. �I really wanted to see this scene which nobody has ever seen before." 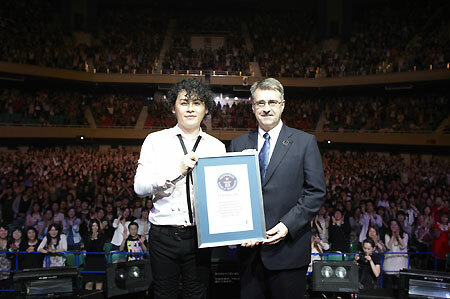 At the end of live, he was handed a certificate by the�Guinness�World Records Japan. AKB48 reveals new information on its Singapore theater!